Is that a begonia? Beautiful color! 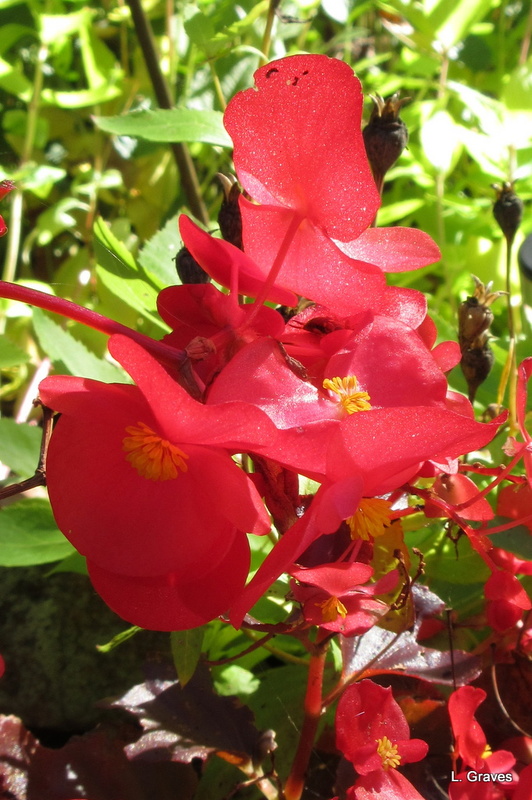 I was thinking it was a begonia, as well, but don’t know. Gotta love those begonias. And no hard frost here yet. Supposed to get one here tonight. I spent HOURS bringing in houseplants and cutting the last of the annuals, the house is filled with arrangements! Bet your house is a burst of color. Wow – October 11 – that’s a lot of color for you guys this late in the season, isn’t it? My begonias have given up the ghost! Sumptuous colour for mid October! My begonias are still going strong. Very, very strange for Maine, but then again, it’s been a warm fall. Thanks. It’s amazing they are still in bloom. Usually, in Maine, by mid-October, the frost has withered everything.